@evleaks aka Evan Blass has posted the first press shot of the smartphone and also said that the phone will be released as BlackBerry Motion. It shows a smartphone with a home button with BlackBerry logo on the front on a huge bezel, below the screen. This unit is still different from the BlackBerry BBD100-1 codenamed Krypton, which got Bluetooth SIG and Wi-Fi Alliance for certification recently. According to earlier leaks, rumored specifications of the phone include, 1080p display, Snapdragon 625/626 SoC, 4GB of RAM and a 4000mAh Battery. It should run Android 7.1 (Nougat) since we can’t expect Android Oreo on a mid-range smartphone. And if the above image is anything to go by, then the BlackBerry Motion is going to rock a solid metal body with severally obvious ports and loudspeaker on the bottom and hardware buttons on the right side. François Mahieu, head of global sales for TCL at the IFA confirmed that the phone will have a water-resistant body with IP67 ratings, but it important to still take this with a pinch of salt to avoid disappointment. 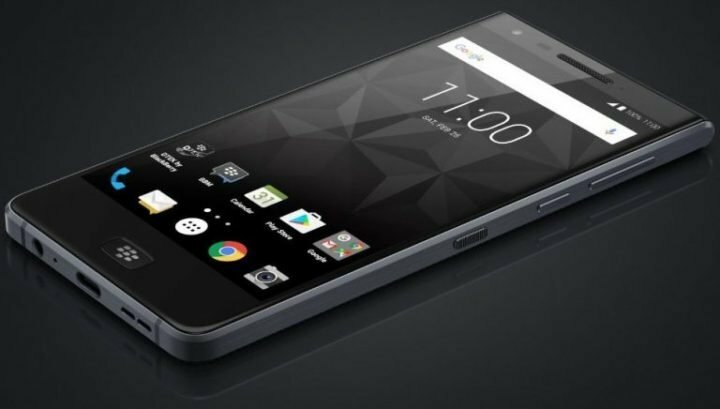 The BlackBerry Motion is expected to go official sometime this October. We will have to wait for few more weeks to find out all the details and the price of the smartphone. But the rumored 4000mAh battery is got us excited already.